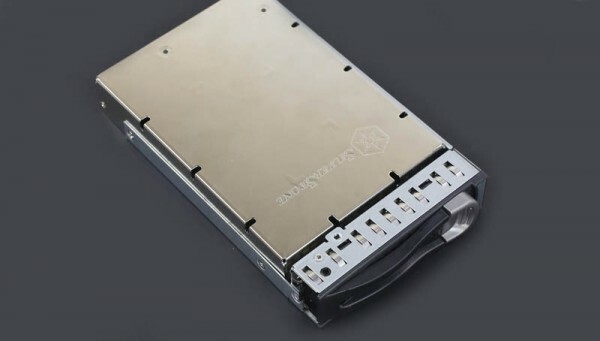 Today we have our review of the Silverstone SDP09 which is a metal 2.5″ to 3.5″ SATA adapter. Recently we have been building out three new racks in our two bay area California datacenters. Two for the test lab and one for the next-gen STH hosting. As part of this process, we have had to add 2.5″ SSDs (mostly Intel DC S3700 drives) into 3.5″ drive bays. 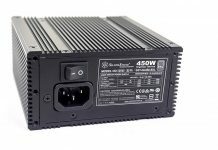 We have used a number of options from the Dell OEM converters and the Icy Dock units we tested in: 2.5″ Drives in 3.5″ Hot-Swap Drive Bays – Two Good and Three Bad Drive Adapter Options. We saw the metal design of the SilverStone unit and decided to give it a try. At around $15 retail , the price is better than the plastic Icy Dock units. The concept of a 2.5″ to 3.5″ drive converter is simple. Make a 2.5″ drive fit into a larger 3.5″ drive bay. The SilverStone SDP09 we tested to make an Intel S3700 100GB drive fit into our Dell PowerEdge C6220 3.5″ drive caddy. Flipping the unit over and removing the 3.5″ Dell caddy, we can see the main part of the unit. 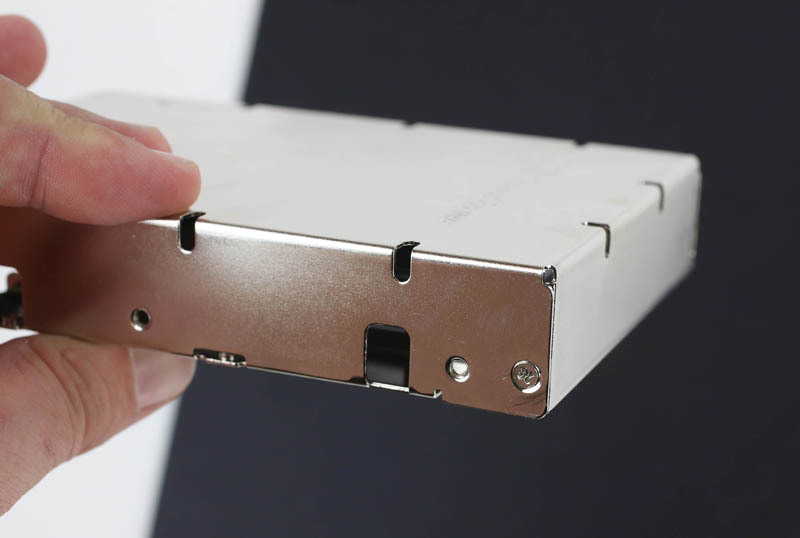 There are metal mounting points for the 2.5″ drive inside the larger 3.5″ enclosure. There are two pads (more on these shortly) to fill space. 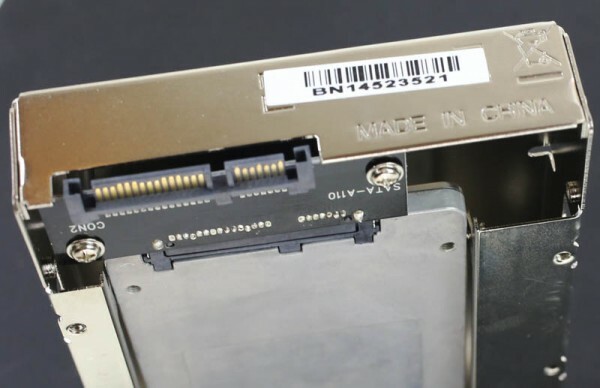 We can also see the PCB that connects the SSD to the back plane or cable(s) in the 3.5″ drive bay. The unit appears as though it is a single piece of metal. The interesting thing is that despise the relatively heavy gauge of the metal, SilverStone uses screws to secure the sides of the adapter to itself. On the side of the unit we can see the holes so one can screw the 2.5″ drive into the adapter and others to screw the adapter into a 3.5″ drive bay/ trays. We have a standard SATA power and data connector along a relatively simple PCB. As we rested the drive onto the pads, we noticed that, especially with our thinner drive, resting the drive on the pads did not help make installation any easier as the drive was lower than the adapter’s PCB. 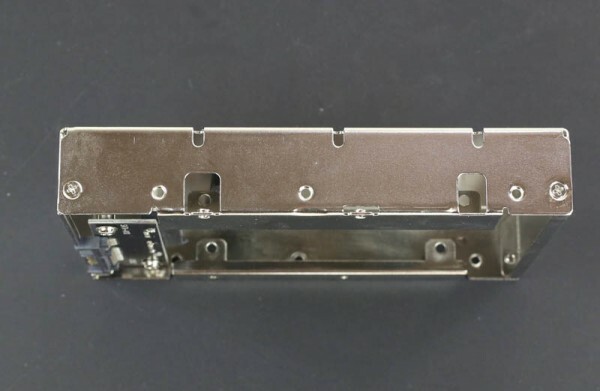 Another issue we found was screwing the 2.5″ drive trays in. 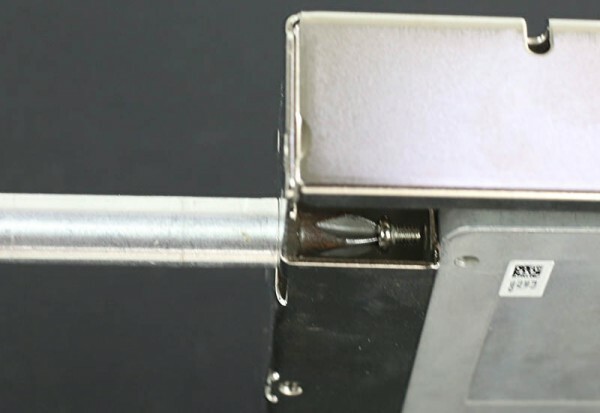 The access ports to the 2.5″ drive screw points were not large. Our magnetic screwdriver could fit is Phillip’s head drive bit through the hole but not the shaft. One needs to use a magnetic screwdriver because there is no access to hold the screw in place otherwise. 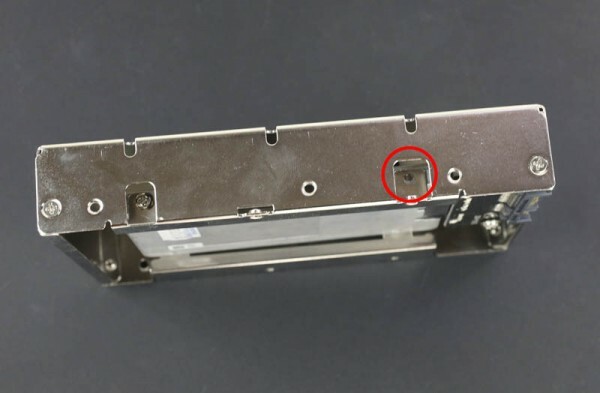 As we started to mount the Intel DC S3700, we noticed that one the third screw we attempted to affix that there was one mounting hole that was off. The shipping box we purchased looked fine but it is possible it was bent in transit or on the retail shelf. The disadvantage of the sturdy construction is that we could not use reasonable force to align. 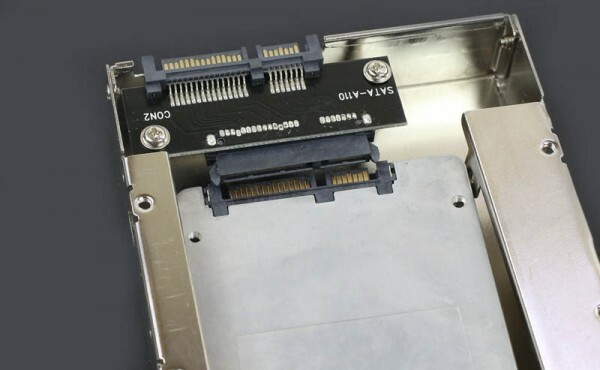 The connector itself is SATA not SAS. This is fine since it is what the adapter was advertised for. One can see the soldering on the PCB is not particularly uniform. Also one can see that the only real access to the drive (e.g. if one were trying to remove the drive) is on the right corner. The metal there is not overly sharp but it is not an extremely smooth edge either. The PCB’s SATA connector held our test drive exceptionally tight. It took some force on the only edge available to push against to get the Intel DC S3700 removed. After some effort we were able to dislodge the drive. In the end, the SilverStone SDP09 worked in our Supermicro test bed as well as the Dell C6220. The particular Supermicro chassis/ backplane we used does not work with the Icy Dock adapters. The SilverStone SDP09 feels very solid. Although there is little airflow through the unit, at least its metal construction will provide a bit of a heat sink to the drives contained within. The installation and drive removal was certainly one of the hardest we have experienced using 10+ of such adapters at this point. We did have some issues with overall fitment though as alignment on the test unit we purchased was off in one corner. At $15 it is cheaper than several alternatives, however the $3 delta may be offset by installation times that are 2-4 minutes per drive longer can competitive offerings. For a desktop user the impact is likely small. In a datacenter where there may be time sensitivities or where one may be using hundreds or thousands of these units, there are easier to use alternatives. Still a pair of these are cheaper than the 2×2.5″ Supermicro bay add-on for some of their larger 3.’5″ spindle count chassis. 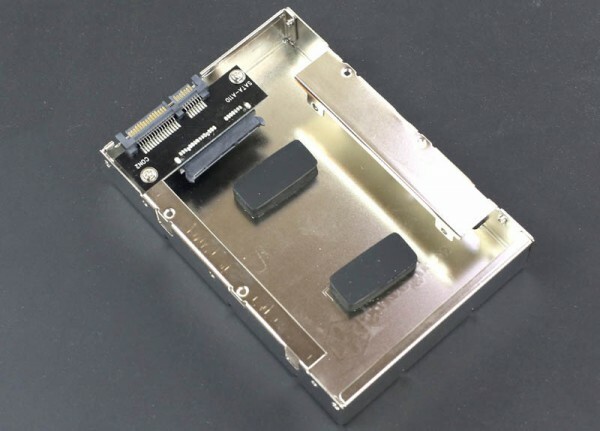 I’m really kinda surprised someone hasn’t made a really cheap one yet without any circuit boards in-place for taking an existing 3.5″ hot-swap tray and adjusting the offset to handle a 2.5″ SAS drive straight-up without any extra extender circuitry. I should read some of the older articles, lol. Honestly, I wouldn’t rate this anywhere near as high as you did. I guess under “performance” I would have dinged it down to at least a 5 due to the alignment issues alone. At $15, the HP 654540-001 is a much better buy. I can’t speak about the silverstone because I don’t have it in my hands, but the HP tray feels *very* sturdy. Not aesthetically pleasing, but it doesn’t feel cheap like the plastic icy dock boxes. The only thing the HP adapter doesn’t have that would have made it perfect is SAS connectivity. Just my two cents, Patrick. When I need this sort of adapter, I purchase HLFS-series WD Velociraptor drives. These come with an excellent heat sink and quality adapter PCB. You can get these for under $10 on eBay, shipping included. You need a Torx driver to dismount the WD drive from the adapter and mount your new drive, but Torx is pretty common these days. Not in any of the chassis I’ve tried. WD released the Velociraptors in 3 different series – BLFS is a bare 2.5″ drive, no adapter. 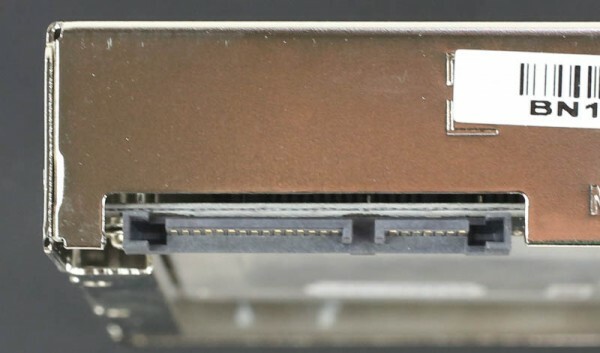 GLFS is a drive in a 3.5″ adapter, but the SATA connector is in the wrong spot compared to a regular 3.5″ drive. The HLFS has the same connector location as a regular 3.5″ drive.